This place is amazing! 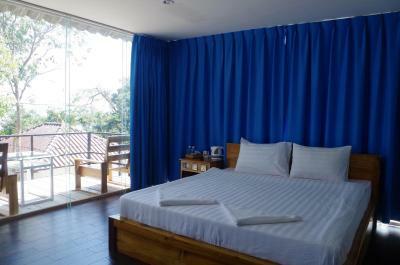 The rooms were huge and had a great view of the jungle and the beach. The wifi was strong, the air con was great, the cleaning staff were so cute. Good location, near restaurants but far enough away to avoid the noise. It rained just about our whole stay so we spent a lot of time in the room but didn't mind at all, it was very comfortable. I would highly recommend this place and would definitely stay again. The room was cleaned and the view from the room was very nice. The facilities in this place were excellent. 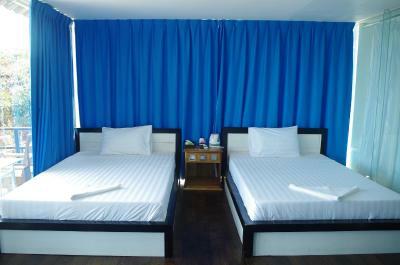 AC, hot water, huge rooms. 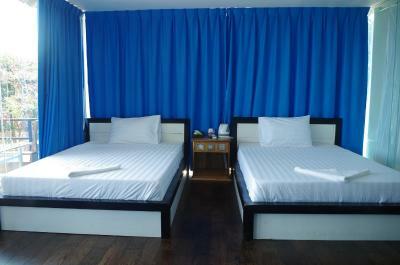 Nothing else on Koh Touch beach can compare price and facility wise. Also it is set back from the beach so private as well. The staff were very friendly and helpful. Assistance with getting our bags to and from the jetty was appreciated. 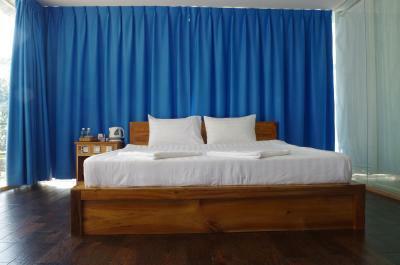 Best value for money close to the epicenter of the island. 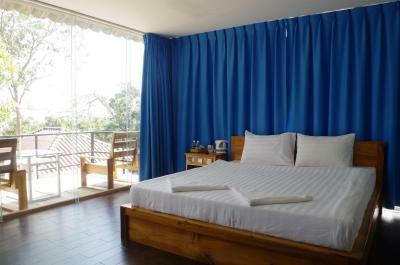 A beautiful bungalow with a very helpful and friendly staff. AC was nice but there was not any in the bathroom so if you were to use the toilet, you are going to come out drenched in sweat. Nice that it was away from the noise and it appears some had good views. Bed was hard. Helpfull staff, they even came to the pier to collect our luggage, because the way to the property is quite steep and it was about 40°C back then. 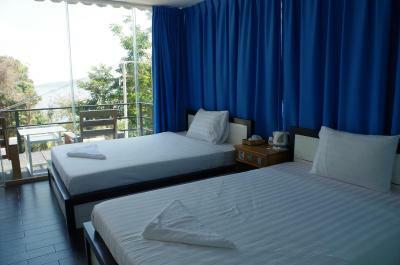 Room was clean, with bathrobe and clean towels and aircon - which is must on Koh Rong, because the heat is merciless. 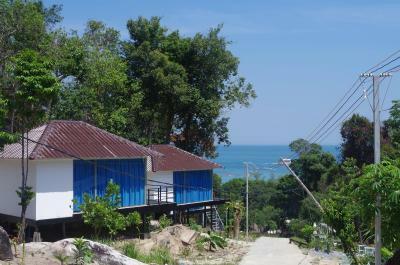 Among the accommodation options near the pier on Koh Rong, Ocean View Bungalows are probably the nicest. Fairly new,great view from the room, friendly staff. Even though our boat was two hours late, they met us at the pier to carry our bags & show us the way. Helped us find the best beach to visit for swimming, and a place to get cash on the island. Lovely people, and lovely rooms. 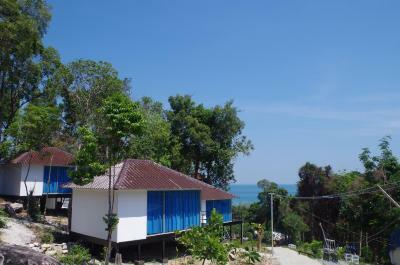 Koh Rong Ocean View Bungalow is located in Koh Rong Island, a 6-minute walk from Koh Rong Dive Center, and has a garden. 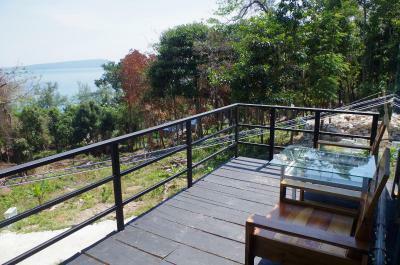 0.4 miles from High Point Adventure Park and 8 miles from Sok San Port, the property has a terrace and a bar. 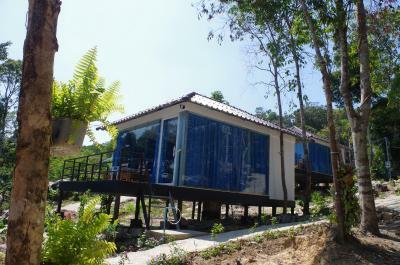 Both private parking and free WiFi are available at this property. At the resort, every room comes with a balcony. 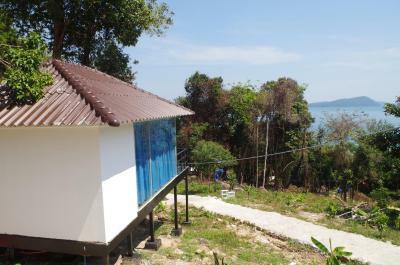 With a private bathroom, some accommodations at KOH RONG OCEAN VIEW BUNGALOW also offer a sea view. 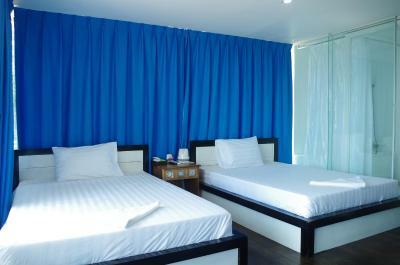 Guests can dine in the on-site restaurant, which specializes in American and Asian cuisine. 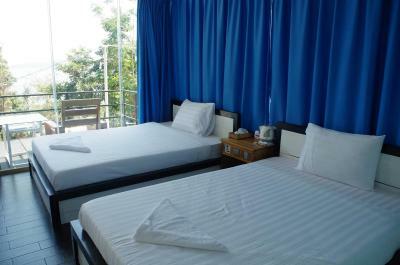 The nearest airport is Sihanoukville International Airport, 14 miles from the accommodation. 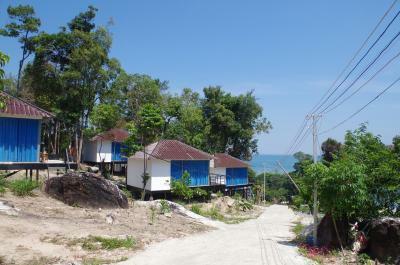 This property is also rated for the best value in Koh Rong Island! Guests are getting more for their money when compared to other properties in this city. 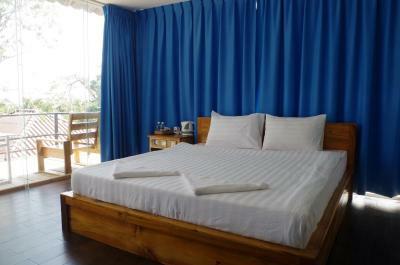 When would you like to stay at Koh Rong Ocean View Bungalow? 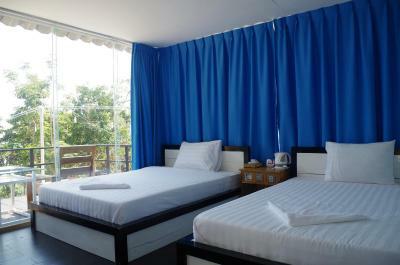 This twin room has a balcony, air conditioning and dining area. 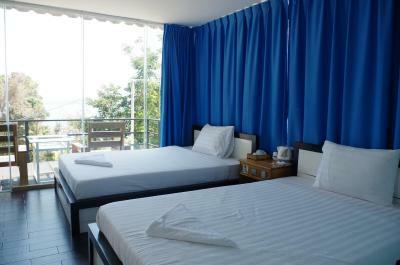 This double room features a balcony, dining area and mini-bar. 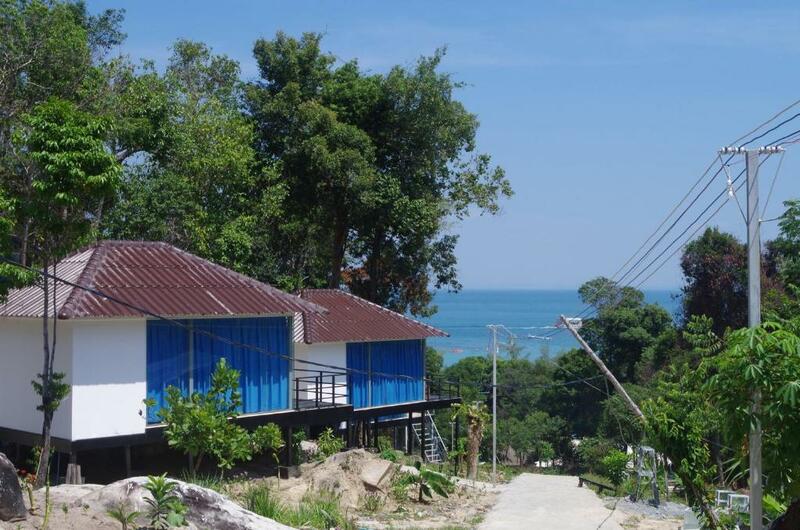 House Rules Koh Rong Ocean View Bungalow takes special requests – add in the next step! 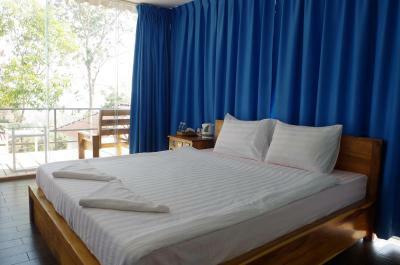 Any additional adults are charged USD 20 per night for extra beds. 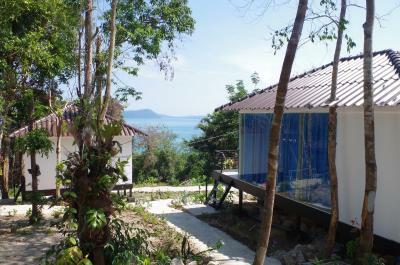 Koh Rong Ocean View Bungalow accepts these cards and reserves the right to temporarily hold an amount prior to arrival. 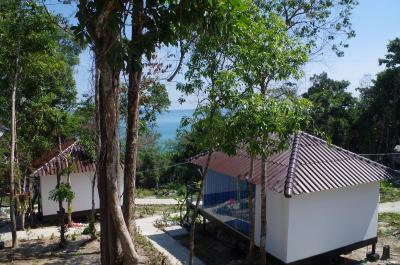 Please inform Koh Rong Ocean View Bungalow of your expected arrival time in advance. You can use the Special Requests box when booking, or contact the property directly using the contact details in your confirmation. A lot of thinks are broken in the room, specially in the bathroom. No safe looker (they said that the last guest lost the key!) the view is very limited... the price is very high for what they are offering. The hill was ok but for anyone with health issues or not to physically fit may need to think about this, as I say you could get a motorbike taxi. The bathroom/bedroom is separated but because of transparency of divided wall privacy is not complete although there was a shower curtain part way which helped a little. We always walked down the hill for food which was our choice so cannot comment on breakfast provision. 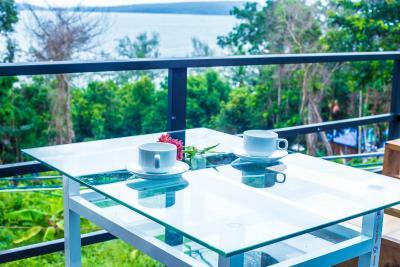 The owner stated on arrival he wanted payment in cash but booking .com site states he takes credit cards he stated the machine was broken and sent to main Island as we were staying for the week we suggested we would wait till machine returns. The owner advised we could get money at a place on the beach but would charge 10% which the owner thought was ok NOT! The owner also stated later the machine does not always work because of the internet not working too. We did have cash so paid this but be aware they do not take credit cards as stated so make sure you have enough money on you. Really this should be changed on booking.com to advise people. 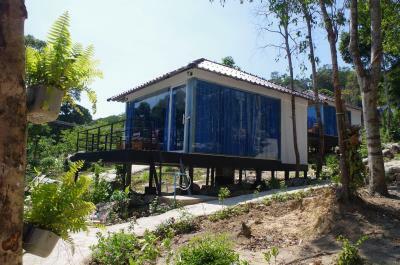 Accommodation is literally a glass box. 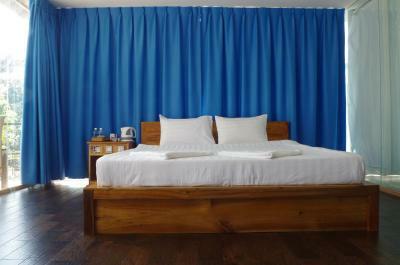 You need all the curtains closed to give some privacy and to try and stop the heat build up, it is like being in a greenhouse. -one lightbeam is the young man doing check in and seemingly the big responsable for the G.H. because he has helped us whenever he could. -the position high up plays in favour of the G.H., without this it would be a total ripoff. The place needs a bit of refreshment. The windows would benefit from some cleaning. 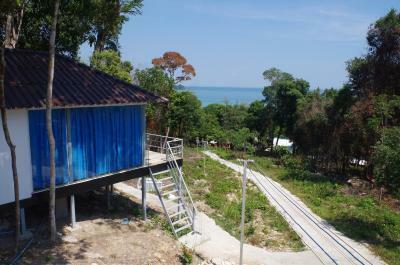 The bungalows are placed on a hill, thus the view is nice. 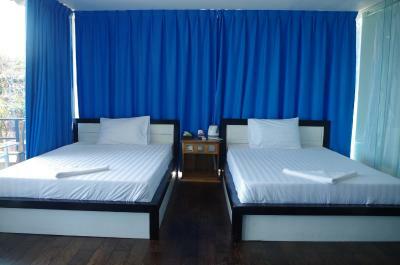 Koh Touch (the main village) is 5-7 min away walking distance, which is far enough from the night noise. Although we could still hear a bit, we did not find it unbearable. 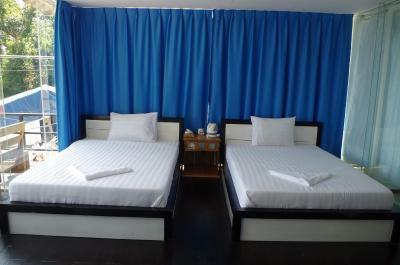 The beds are big and comfortable. There bathroom is private and pretty big: there was hot water and even a bath tube. 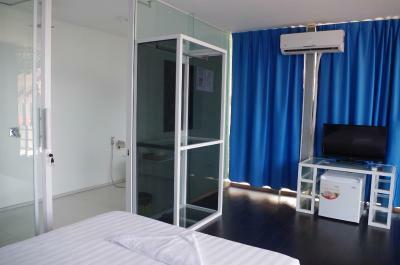 There is aircon, safe and wifi. Overpriced. Bathroom needs to be refurbished, and the door lock didn’t fill me with confidence. The bungalows are starting to look shabby and it needs some TLC. Good location away from the noise, one of the better accommodations on the Koh Touch strip. There was no restaurant as advertised, they said their chef was away. Just meant we had to walk down the hill and back in the rain most times. They said they would pick us up from the pier but didn't. Both small things though, the place really was awesome. The pickup from the terminal was not a pickup. We waited in heavy rain as they were late to pick us up. Then they just said they'd take our bags. Managed to convince them to take one of us. I walked and was drenched. Electricity tripped regularly. I had to go under the bungalow numerous times a day to flick the switch. Also cold water running to the bath.